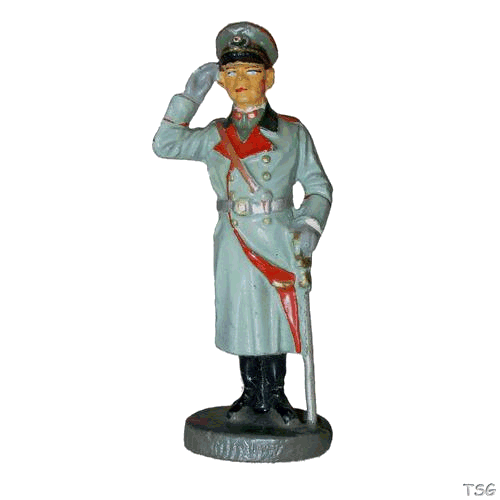 The collector's catalogue of the Toy Soldier Gallery includes figures and accessories of various brands, among others Elastolin, Lineol, Morgoma, Tipp&Co etc.. This catalogue is constantly being expanded. The catalogue can be searched according to various criteria (brand, series/size, manufacturer number, etc.). In addition, the keyword search can also be used to filter for the names of the figures and accessories. Only parts of the catalogue can be viewed by unregistered users on the pages of the Toy Soldier Gallery. BASIC members can view the entire catalogue. The pictures of the figures and accessories are only shown to PREMIUM members in high resolution. In addition, PREMIUM members can use a zoom function* to better view details of the figures. Sales revenues and a current market price estimate are also only displayed for PREMIUM members. Information about the advantages of a PREMIUM membership can be found on the page "Memberships". * The zoom function is not available on mobile devices and touch screens.